July | 2013 | ¡Permiso, Albania! Over the past many months since I arrived in Albania I have been collecting my dreams and sharing them on Facebook, but I have the urge to compile them here to share with all of you. These are normally typed poorly into my phone somewhere between 1 and 3 am. They will be in chronological order starting with the most recent. Enjoy. 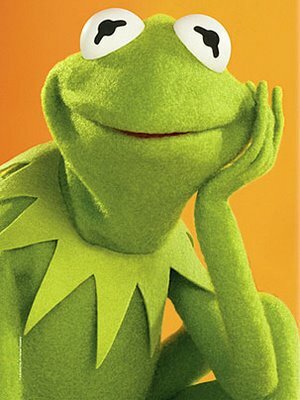 Dreamt that Kermit the Frog was in Gjirokastër and he is huffing and puffing up this hill, even though he should turn around and go home, because he needs a bathroom (sounds like my life) when he comes across a lady who looks a bit like Janelle Monae, who asks him, “Kermit, why don’t you go home?” and he says, “But the good cookie store is this way.” and then they break into song in a big field. Just dreamt I was walking along H Street DC, only it looked like Albania (I know it’s DC because I recognize a guy from my former gym) and I head into this fancy, but really nice store and go straight to the cheese section but all they have is Jarlsberg and while expecting more I am not disappointed. Dreamt I was driving with Matt & Kim and they wanted to me to take the lead on some Bonnie Raitt song. I don’t know any Bonnie Raitt songs. Last night I dreamt life in Albania was like a Euro produced film from the 60’s and that Alain Delon was a barber and wouldn’t cut my hair like his. Sitting on a bench near a fast flowing river w brown water and rows of little beggar children were pacing slowly towards us, begging but very subtle and creepy, and I was using a short sword to scare them off but they showed no emotion. One told me he was thirsty so I told him to dig a hole near the river and let the water seep in, but to wait for the dirt to settle. Then the river was everywhere and people were swimming between the trees and wading in the few shallow parts. I was worried about drowning so I sat with a group. One man read to his little girl from a book and someone else commented that the french were dying out. Then I was at a little house, with water even with the porch where there were three little boats and two piglets on the porch. The boats were yellow. Someone was narrating about how most piglets are born dead or malformed. I was trying to get the piglets into the boat, but they hopped to another, and mine kept tipping and taking on water. I was maneuvering along a fence trying to keep out of the water because there were things in there that I couldn’t see and as if to prove the point, I looked up and there was a big, old python, with a rotten tail wrapped in the fence, not far from where I had been. I think I’ve seen it before. It starts moving and it’s going for the piglets which are now baby rabbits and I go to look for something to kill it and I’m in my parents bedroom and tell my dad about the python while getting a machete. He says calmly for me to kill it with a machete and I get annoyed and wake up. Not a dream, but I thought it amusing. This morning the crowing of a rooster woke me up. The first hints of grey dawn started to light up the room, grey and cold. The water bottle at my feet had lost all its heat and I curled tighter bringing the blankets in trying to stay warm. Cat nestled in the crook of my knees and I realized – I’m the little spoon. Dreamt I left work early and went to a shop with Mich (sister) and we were looking for a suit for Mike (her husband) and a cat and Ervin followed. Shop was like Sisley brand and this younger british kid like Stephen Fry w bright blue eyes and his assistant or trainee was helping. Some ugly finnish girl asked if he was american and then told her stupid life story. Woke up sometime in the early AM to noises in the kitchen to find another cat had slipped into my house. Then reality and dreamland had a baby – in it, the cat that currently sleeps in my dresser attacked the other cat. Then an old lady came into my house and started speaking to me in shqip but I couldn’t understand her and thought she was a cleaning lady so I left but realizing I might have forgotten my wallet I came back and the house was not only rearranged but was a completely different house. Then a dude was outside my guest bedroom where a fellow PCV was sleeping but she wouldn’t let him in (with good reason – who knocks on the window at that hour) and he walked away forlorn, leaving one of two red back packs on the street corner. Just dreamt that I was in a store in Tirana and I had to choose between a NPR or a WNYX coffee mug. These are the tough decisions you have to make in the Peace Corps. The NPR mug was damaged so I went with WNYX, which is what I really wanted anyway. I had the craziest dream which was like a comedy mystery (wherein I will live with Zooey Deschanel, Jason Segal, and be played by Elijah Wood for the film version) And we were in this sort of old bunker and seemingly stumped but I noticed the ladies gloves were from the 50’s but the hat clearly had Spongebob Squarepants on it, so it must have been recently used and this guy shows us this screen where it has spelled backwards “you’re going to fall asleep now and wake up with no pants” and then shows diagrams on how to find a secret bunker/lab in a DC metro station and then we wake up in the apartment with no pants on, which seems to be a running gag. Oh and there was a giant underground pool and a lecture about Puerto Rico and then somebody asked a REALLY stupid question about evolution. Kind of insulting too. The following is a slight fictionalized version of true events. The night got hazy. I arrived in West Berlin (i.e. a small cul-de sac in Kilburn) to meet my handler and couchsurfing host, Nate. The narrow alley way echoed with my passing footsteps and the facades of the houses all shared the grayish neutral tones of evening. As soon as I passed the threshold, I was warmly welcomed by my host, but that did not belay the seriousness with which we would party that night. To prepare we would need fajitas, and beer. Lots of beer. Our fellow conspirators arrived: the roommate Charlie, already in the full swing of things, fellow couchsurfer Grace, an Australian youth with trousers fit for vaudeville, and an assortment of friends and passerbys. It was the night of the big op. Resources via an invitation slid under the door earlier that week indicated that there was to be a housewarming just over the wall in East Berlin. Fear of the Stasi didn’t stop us nor the numerous other invitees who made their way through the small, arched, unguarded gap that connected the two worlds. At about a 15 past midnight, after a marathon of youtube video fueled dancing and conversation, Charlie grabbed a bottle of some cherry liqueur (no one wanted to touch the bottle of raki I had brought – I think they were afraid mishandling could cause an explosion) and the operation commenced. It was easy to find the drop zone. Just listen for the loud thumping of Mr. DJ and look for the loiterers with bottles in hand. A small split level venue, most of the furniture had been cleared to make room for a dance floor sparsely peopled with gyrating hips, arms, legs, and other body parts. To answer “The Killers,” no. We are not dancers. Save one. She was a singular dame, like something out of a 40’s picture book (the kind you buy under-the-counter) or a film with a Cole Porter soundtrack. In the poor light, her fair-skinned features shimmered against a back drop of perfectly coiffed dark hair. She shimmied and grooved in her black stockings – heels long since discarded – and the dance floor parted to give her way. I parted with the bottle of Charlie’s cherry liqueur. I had no time for women in my life. Not after Cat. The night wore on, and we started to wear down ourselves. Cherry liqueur in hand, we sauntered back home, unaware and indifferent to whether or not the mission had been successful (was there a mission?) only to bring a tail of East Berlin refugees back with us and among them was the young lady from before, Ms. Scarlett Belle, a burlesque dancer with a sweet Scottish brogue. We cued up the youtube and poured more drinks. Later that morning when the veils of evening had been lifted and revealed the chaos of the night before, roommates and house guests stumbled back into the main room and kitchen. Adjusting her dress and trying to smooth her hair, I could tell Ms. Belle was a lady in trouble. She needed pancakes on the quick. We all did.